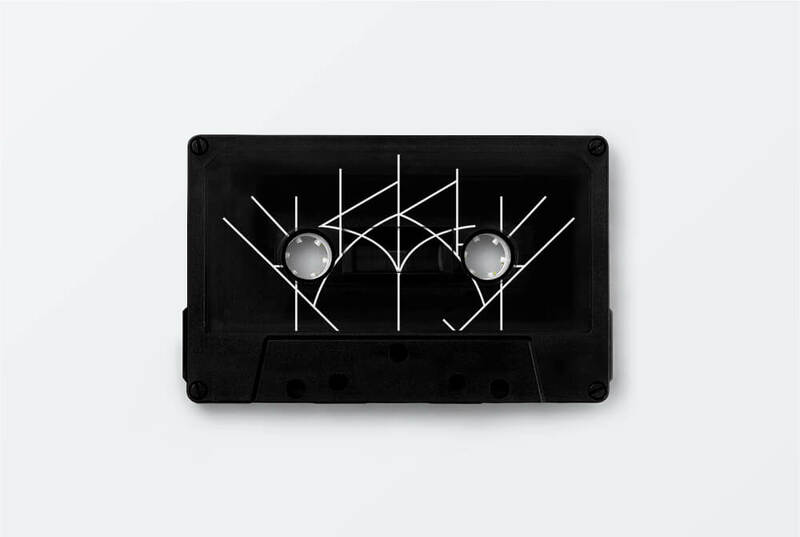 For Drain the Maker, the debut release of Chicago artist uuskhy, I designed a logo, a cassette tape, and a music video to correspond with the tape's release. The video is for Still Waiting, the second single off the album. 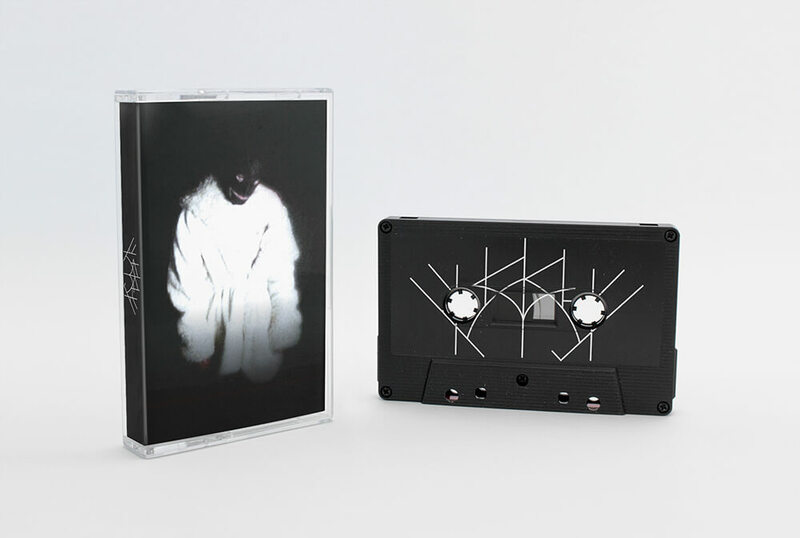 It incorporates found footage that's been warped and edited to suit the song and mirror the approach the artist took making the album. 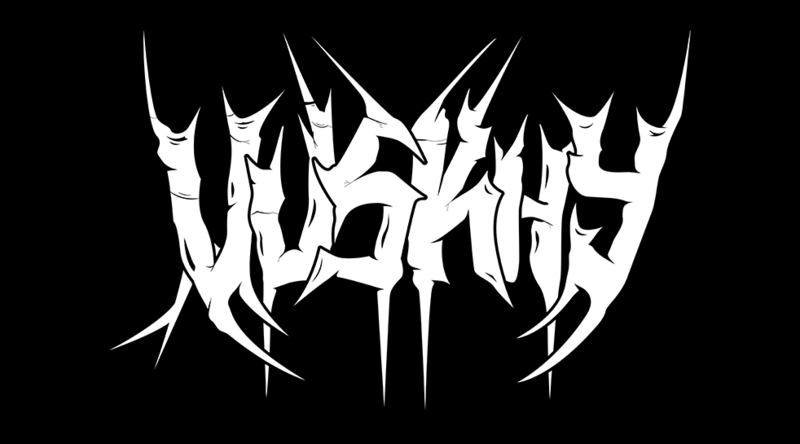 Like the artist, the uuskhy brand developed into something dark, mysterious, and impenetrable. 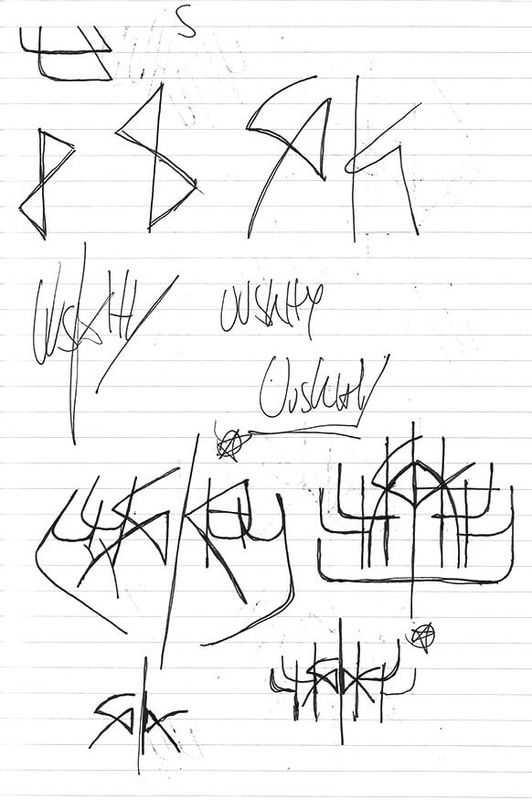 From the start uuskhy wanted the logo to draw inspiration from black metal logos which traditionally are packed with detail and are mostly illegible. 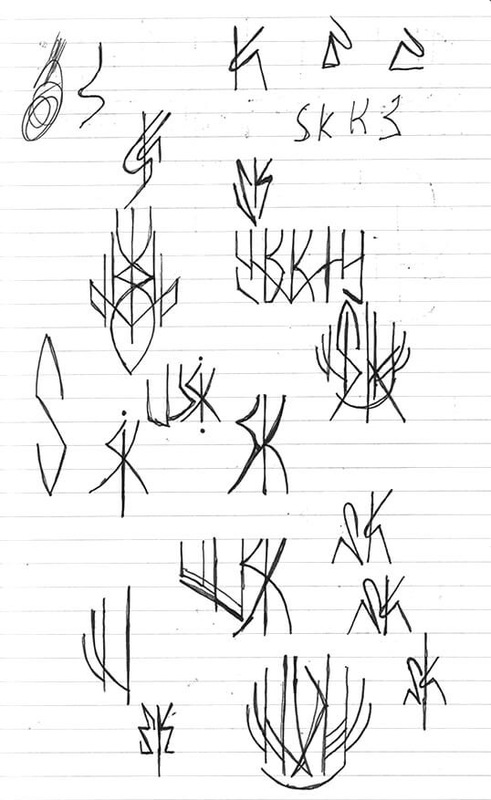 Below is an initial concept using some tropes found in black metal logos. I liked aspects of the design, but it felt wrong for uuskhy. 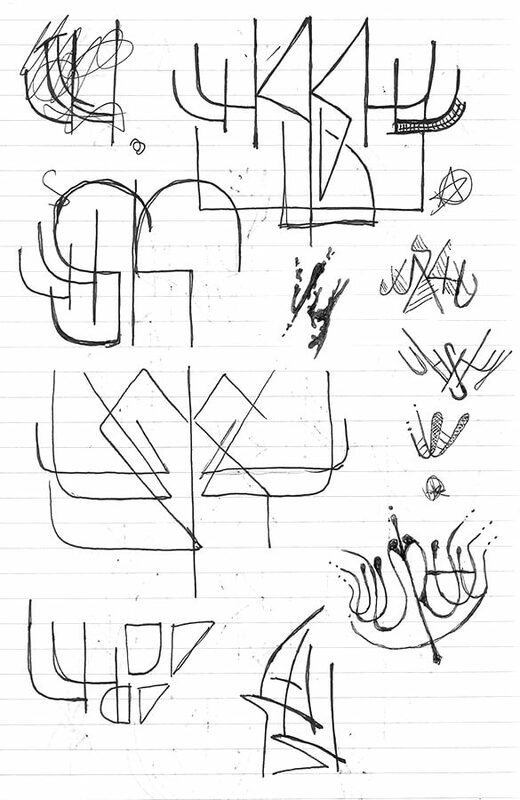 Back to the drawing board, here is a selection of sketchbook pages where I explored simpler line work, while still holding onto black metal logo tropes like mirroring at the center and obscuring letters. Explorations led to several iterations, a few of which are documented here. The logo evolved quickly from this point. With input from the artist, we eventually landed on the sparse, simplified logo at the bottom.